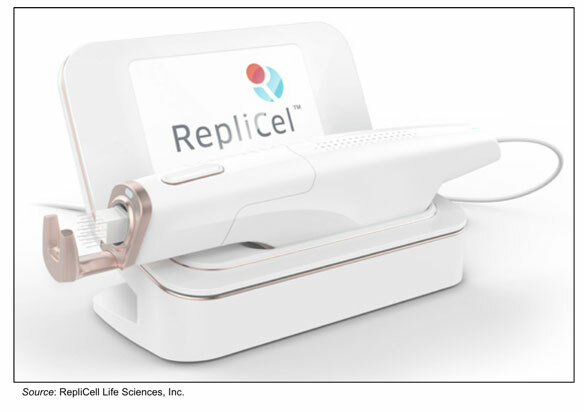 RepliCel’s RCH-01 is on the forefont of innovation in the pursuit to cure hair loss. Whether it was James Hong growing replicant eyes within his character’s icy lab in 1982’s “Blade Runner” or Star Trek: Voyager’s “Dermal Regenerator”, fiction has often played with the concept of regenerating tissue or growing entire organs from the cellular level. However, the field of regenerative medicine is ever closer to turning what was once the musings of science fiction writers into a fact of daily life. At the front-lines of this cutting-edge research stands Vancouver’s “RepliCel Life Sciences Inc.“, a regenerative medicine company using cells taken from a patient’s own hair follicles for the purpose of treating Androgenetic Alopecia (Male Pattern Baldness), aging skin and even chronic tendinosis. Success with the company’s autologous-cell therapies will inevitably be a game-changer for the aesthetics market as well as sports medicine. In 2012, the company began a Phase 1 trial with RCH-01, the code name of their product for the purpose of treating male pattern baldness. The procedure works by obtaining a small punch biopsy from the back of the patient’s head as the hair that grows on the scalp there is generally resistant to balding. From this sample, cells called “dermal sheath cup cells” are extracted from the base of the follicle. These cells are then multiplied in a growth medium and are ready for injection after a period of about two weeks. The goal of the treatment is for these healthy cells to migrate to thinning areas, revitalizing the hair that grows there as well as bestowing the thinning hair with the healthy hair’s immunity to balding. It is also hoped that this procedure will induce the formation of new follicles entirely; repopulating bald areas. The scientific basis for this procedure stems from research first carried out in mice by Drs. McElwee and Hoffmann in the early 2000’s. In short, it is safe. The last line of that quote is particularly interesting, as it means this product could be, if nothing else, a superior, perhaps permanent, alternative to Finasteride with no (presently) known side effects. Finasteride, along with Minoxidil, is just one of two FDA-approved drugs for the treatment of Androgenetic Alopecia. However, the drug is known to have some nasty side effects in some patients — said to be as low as 2%, though some recent studies suggest it could be higher —and can lose its efficacy over time. While most patients in the RCH-01 trial saw an increase in density over baseline, how much of an increase they saw varied widely, with the top responder seeing a 20% increase in 24 months. As such, more data will be needed to determine how and exactly why some individuals saw a greater increase in density than others and ultimately how much of an increase in density is possible. However, it won’t be long before these questions will be answered. Japanese cosmetics giant — among the oldest and largest in the world — Shiseido, purchased the exclusive license to RCH-01 for use in the Asian continent back in 2013. They are presently in a second-phase (testing for safety and efficacy) trial and data from this trial is expected in late 2018. Also, unlike phase 1 (a single, high-dose injection), phase 2 will see a number of injections at set intervals. Depending on the results, protocols and what Shiseido decides is the appropriate course of action, the product could be granted conditional market approval that same year or very soon after given Japan’s recently revamped laws regarding stem-cell therapies. So long as the product is safe and has a certain degree of efficacy, it can be granted conditional market approval after two clinical phases instead of the usual three. In 2016, the United States introduced a somewhat similar law called “The 21st Century Cures Act”. This means that Japan is the only country in which RCH-01 may see release before 2020. Shiseido also purpose-built a facility for the development of the product, but the actual treatment will be provided in partnership with Japanese hospitals. The benefits of this transfer of hair cells are not limited to treating hair loss, though. 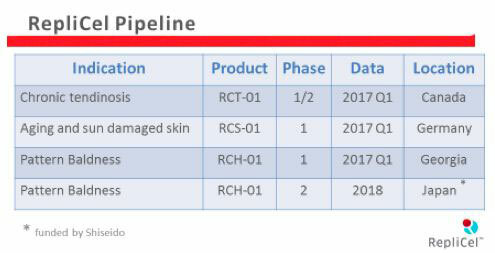 RCS-01 and RCT-01 are regenerative therapies for skin and tendon damage that rely on a very similar method. Fibroblasts, the active cells of connective tissues, are extracted from a sample of hair follicles obtained via punch biopsy, as with RCH-01. 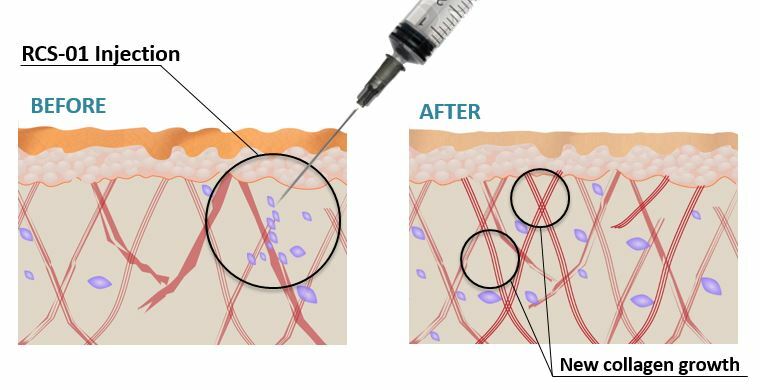 These fibroblasts are then injected into UV-damaged, aging skin or tendons afflicted with tendinosis with the hope of restoring the connective tissues and collagen to restore function and elasticity. In fact, as much as 80-90% of visible “aging” can be attributed to damage inflicted by UV rays from the sun. Just take a look at this truck driver (Bill McElligott) who spent most of his career with one side of his face to the window. If Dr. Hoffmann is correct, such a product will almost surely be the company’s flagship treatment. The anti-aging industry is poised to rise to a value of 216.52 billion USD by 2021. RCT-01 saw promising results from its phase 1 as well, with ultrasound showing “marked improvements” in tendon structure; “something rarely seen in patients with this condition”, according to Dr. Ross. In fact, two patients in particular saw “select measures of near-complete recovery in function”. This therapy again uses fibroblasts taken from the hair at the back of the patient’s scalp, but the cells are injected into tendons with the goal treating Achilles Tendinosis, a condition that degenerates and inflames the Achilles tendon and is common in athletes. The treatment would also see use in similar tendon problems such as tennis/golfer’s elbow and rotator cuffs. While the complete efficacy of these treatments remains to be seen (and it will be some years yet before they would be available to the public anywhere in the world), the initial trials show much potential. Thanks to the cells in the hair on the back of your head, you just may be looking younger and getting that golf swing back before too long. 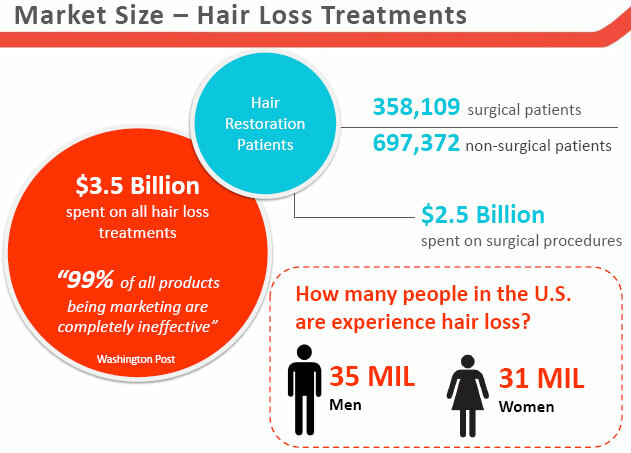 What do you think about the potential for this methodology in treating/curing hair loss? Do you have more hope in RepliCel’s project or moreso other projects? What treatment approaches do you plan to take to buy yourself some time until they’re available? Any other thoughts or comments? We’d love to hear from you in the comments section below. You don’t have to sign up for an account and can use a pseudo-email address (unless you’d like alerts about replies).